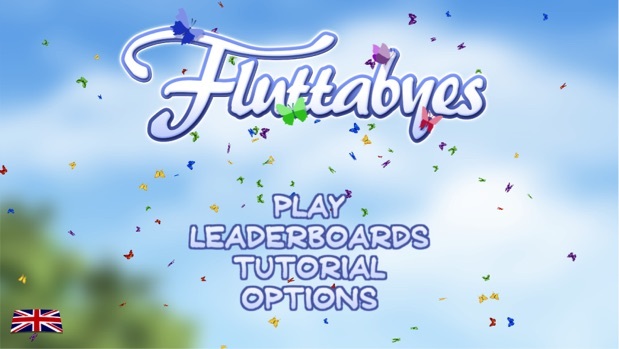 Fluttabyes is a new puzzle match game from Red Chain Games. 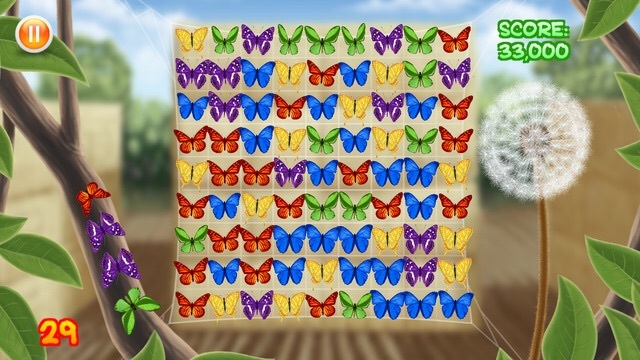 It follows the similar pattern of many popular casual games currently out on the App Store – a ‘match 3’ game, where the player must match three or more butterflies in order to attain a higher score. Flutterbyes is a charming take on the genre and generally makes a refreshing change from the overwrought ‘gem’ graphic. The tutorial for Flutterbyes is both comprehensive yet short and sweet – the perfect mixture of allowing the player to learn for themselves and allowing the game to guide them through the rules. On the whole, the rules contain nothing more than casual mobile players will no doubt have encountered before on popular games such as Bejewelled and Candy Crush Saga – a series of randomised levels where the player must navigate their way through the level. It also has the familiar modes of such games: continuous play; time limit and beat the score. The game even has a cute and fun little graphic of a dandelion with the seeds being slowly burned away as a symbol of the time the player has left. The graphics throughout are simple yet pretty and atmospheric, creating a warm and golden glow of a sunny summer’s afternoon the audio helps greatly here too – a well thought out and melodic tune that relaxes the player and eases the mind. One could go as far as to say that the game works as a relaxant, and the game modes only help to build upon this – even in timed mode, the graphics and background music work together to create the optimal calming environment. 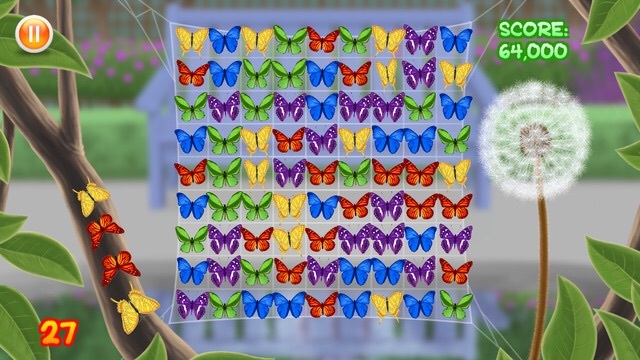 Flutterbyes is a shockingly simple yet effective game, bringing a sense of calming relaxation to the casual gaming market. Unlike its fast paced predecessors, Flutterbyes manages to keep the puzzle game fun yet tranquil; challenging without becoming frustrating. It is a game that can be left and played again and again, transporting the player to a soothing meadow even when they may be waiting at a busy bus stop. A must try.